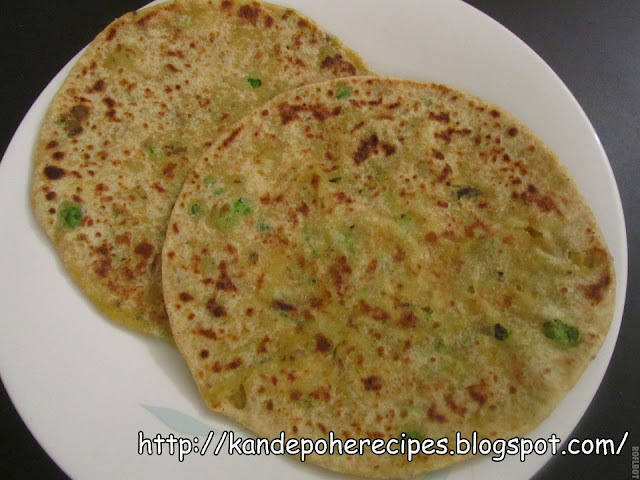 To make the paratha dough, Take wheat flour in mixing bowl. Add cumin powder, carom seeds and salt to taste. Knead the dough well. Consistency of dough should be soft like regular chapati/roti dough. Apply few drops of oil on dough and cover it. Let the dough rest for 30-40 minutes. Boil the frozen green peas in microwave for about 5 minutes. Drain out the water and mash the green peas. Shred potato and mix it with green peas. Heat up 2 tsp of oil in pan. Add green chillies, pinch of asafoetida, turmeric powder chopped onion and sauté till onion become translucent. Add potato and green peas mixture to it. Add salt to taste, garam masala, lime juice and chopped cilantro. Mix this really well and switch off the heat. Let the mixture cool down completely. Take a medium sized ball of dough and roll it like a small puri. Roll the edges, keeping middle part thick. Place medium sized ball of potato stuffing onto it. Cover all sides of stuffing with edges of dough. Dip into all purpose flour and roll gently and evenly from all the sides. Roll paratha little thick than chapati/roti. Paratha looks awesome . 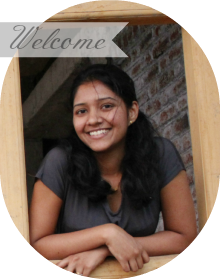 And thank you for dropping by my blog. first time here..lovely blog dear!!! Delicious and tempting paratha with nice clicks.. 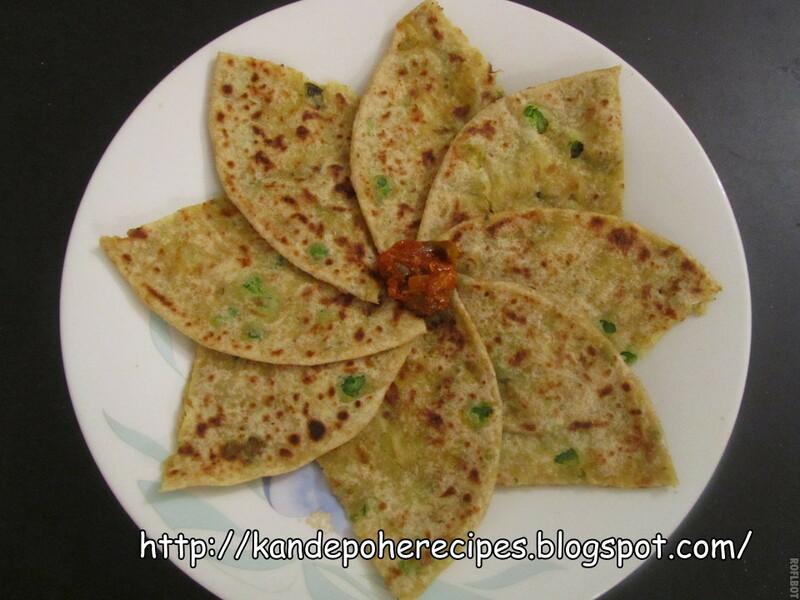 Believe me or not,even i prepared the same parathas for our dinner,looks excellent. The paratha phool looks inviting. awesome presentation and truly blessed artist u r.